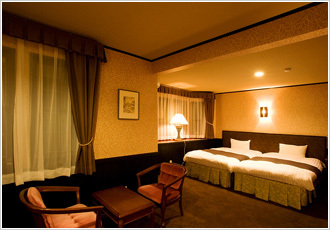 Welcome to the Karuizawa Hotel LONGINGHOUSE web site. Our hotel's large garden in Karuizawa, nestled in the highlands of Karuizawa, provides a panorama much like the streets of Stratford(although we are in Karuizawa). Our hotel in Karuizawa serve a unique style of cuisine that includes carefully selected seasonal vegetables from the surrounding highlands of Karuizawa. 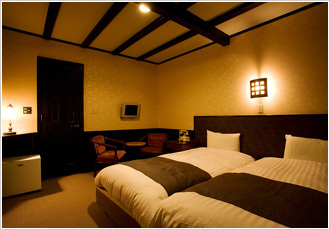 Our hotel in Karuizawa is famous for its delicious vegetable-centered meals. Our restaurant in Karuizawa appears on Karuizawa focused TV programs and magazine articles about Karuizawa, and is famous for its healthy and delicious Karuizawa vegetable cuisines. If you are looking for a place to stay at Karuizawa, why not stay with us and experince our Karuizawa vegetable meals at our hotel restaurant. All of our hotel staffs in Karuizawa are eagerly awaiting the moment when they can serve you in Karuizawa. Hotel parking facilities for 30 vehicles. Parking also available for large coaches at the hotel. * Payment by card only accepted for 30,000 yen or above at our hotel. Hair dryer, toothbrush, face towel, bath towel, body soap, shampoo, rinse, refrigerator, boiling kettle are available at the hotel. 2,000 yen per hour use of hotel tennis-court. Payment is required by credit card in advance. A car rental service is available by clicking web site. Specify "Karuizawa" as the city or airport code when reserving your rental car. Breakfast is included in your prices for the stay. We serve Breakfast including Hot soup, bread, main dish and dessert. and is famous for its high quality. Dinner is available for extra charge. There are three types of courses, and the prices are marked in red. Dinner charge is to be paid when checking out. Our Tateshina Beef course is available for 8000yen extra charge. You can decide to have dinner or not when you check in at our hotel. Our Course dinner is available for 5000yen extra charge. is available for only 1680yen extra charge. This is served in a Japanese restaurant nearby. Bath and toilet are separated-type. Bath and toilet are modular-type. Copyright © Karuizawa Hotel Longinghouse at Shinshu-Nagano in Japan. All Rights Reserved.